Water Defense is a Brooklyn-based activist group founded by actor Mark Ruffalo that has worked to ban hydraulic fracturing in New York as well as Colorado. Water Defense is actor Mark Ruffalo’s pet project. Though based in New York, and primarily focused on fracking issues in that state, it has also worked to ban fracking in Colorado, sending a letter to Governor Hickenlooper and writing an op-ed in the Denver Post. Water Defense has also started the group “Erie Rising” that details the so-called plight of mothers in Erie, Colorado trying to protect their children from fracking. While invoking motherhood and health threats to children have long been favorite tactics of anti-fracking activists, it’s difficult to tell whether this group actually exists—its website has no content on it. It looks as though it is following another common tactic of anti-fracking activists—astroturfing. But Water Defense’s biggest contribution to fracking activism in the state of Colorado has been its financial backing of Frack Free Colorado. 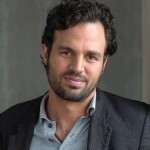 With Mark Ruffalo’s net worth estimated to be in the magnitude of $20 million, such funding has likely gone a long way to aiding Frack Free Colorado’s efforts. A New York-based actor whose carpetbagging activist group is trying to ban fracking in Colorado. © 2019, all rights reserved. Big Green Radicals is a project of the Environmental Policy Alliance.